Our Trophy Dragons and Monsters! My dragons and other mythological creature creations are made mainly with recycled bed sheets! The eyes are made from glass that is painted on the back side. The result is a realistic eye that follows you! Horns are made from several materials depending on the look we are going for, they can be anything from Paper clay to cloth, or even 3d prints! The cloth scales must be folded one by one then overlapped which takes a ton of time and patience. 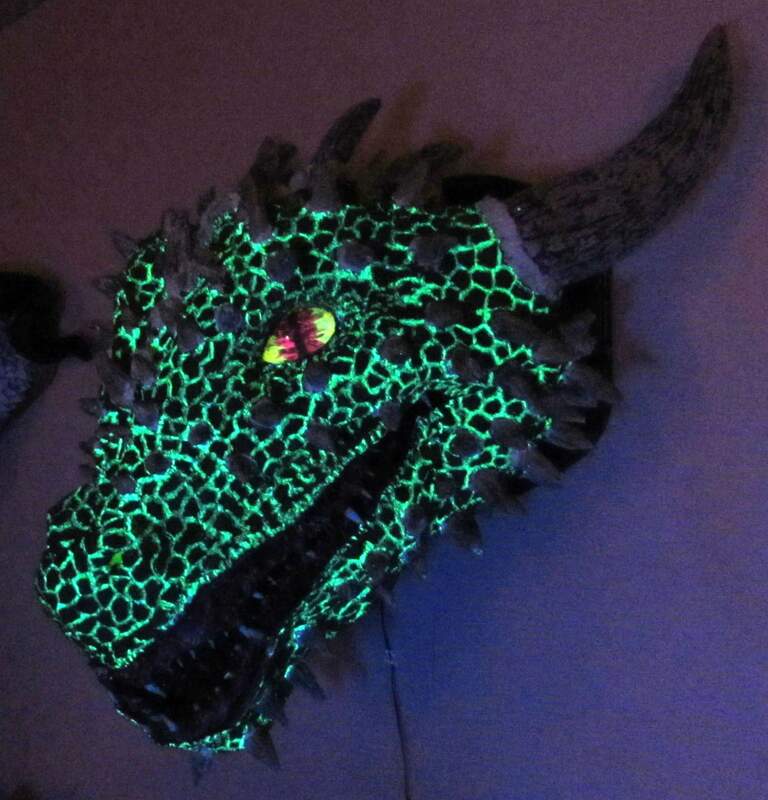 Some pieces like the one pictured left are made from paper clay, glow in the dark paint was added between each scale and his eyes are back lit with LED’s. I hope you love my dragons and other creatures as much as I do! Couldn’t find what you’re looking for here? Have a great idea you need to come to life? Checkout our Custom Fantasy Creations page and put your request in today. Make your idea for your home or office a reality.